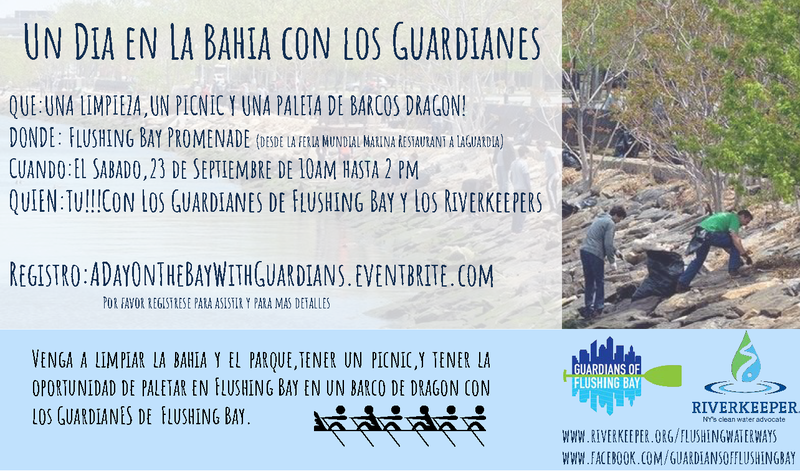 On September 23rd, Guardians of Flushing Bay and Riverkeeper are having an all day waterfront event on Flushing Bay! Come join us as we celebrate the waterfront and say goodbye to a great summer. 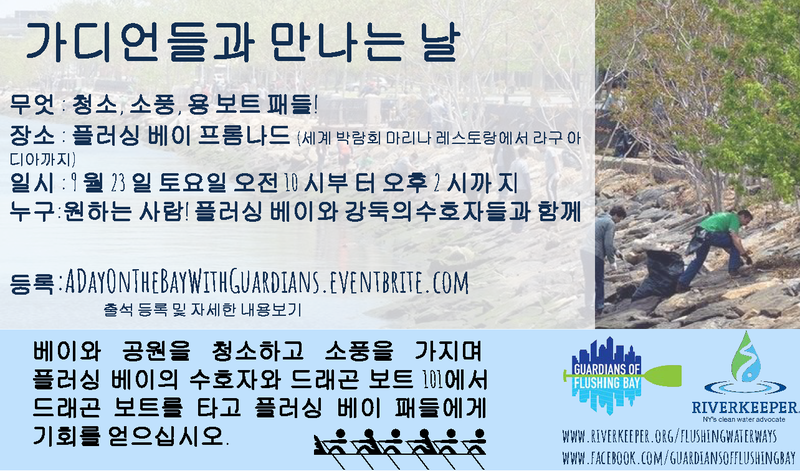 The day will include a shoreline clean up along the western side of the promenade. This area, from the Worlds Fair Marina Restaurant to LaGuardia airport, does not get much attention and is strewn with litter. After the clean up, we will provide lunch by the Candelas at The Worlds Fair Marina Pier. During lunch, we will raffle off exciting local prizes, such as a cruise on the Skyline Princess! 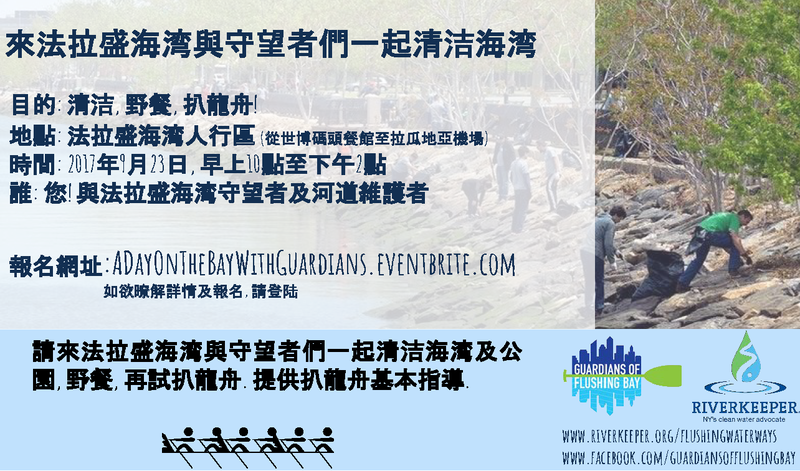 Then, we will end the day with a dragon boat 101, and tour along the bay. If we’re lucky, we will even have a dragon boat race! RSVP for free (or donate if you like!) here. Follow the Guardians on Facebook.